My hair has always been long and that's how I like it; I never dabbled with a 'pob' or pixie cut when everyone started copying Victoria Beckham and, although I've been tempted to get a long bob à la Rosie HW, I doubt I'll ever trade-in my longer locks until I get old and grey. I've just always wished I could click my fingers and give my hair a boost of thickness and volume, which it can be lacking. Fortunately, Irresistible Me got in touch with me recently and asked whether I'd be interested in trying some of their hair extensions and I jumped at the chance to add some extra body to my barnet. Being honest, extensions have always scared me, hence why I'd never tried them before now. I'd heard horror stories about people paying a fortune for bonded extensions, to be left with horrendous, long-lasting damage. A couple of friends had used clip-in extensions on and off, but the quality was questionable and they ended up looking obviously fake and ratty within a few weeks. So, when my Irresistible Me parcel was delivered, I was half excited and half dubious. On arrival, I was greeted with a small box containing a sealed, plastic packet which held the extensions. What's so great about the packaging is that the brand allow you to try a small piece of hair before you open the whole packet, to test the colour and length, ensuring it's a perfect match and what you wanted. If not, you can return or exchange the unopened packet! 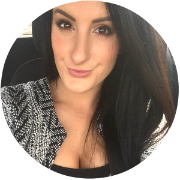 Thankfully, my extensions were in perfect condition and even better than I had hoped for - no knots, no tangles and no damaged hairs or clips. 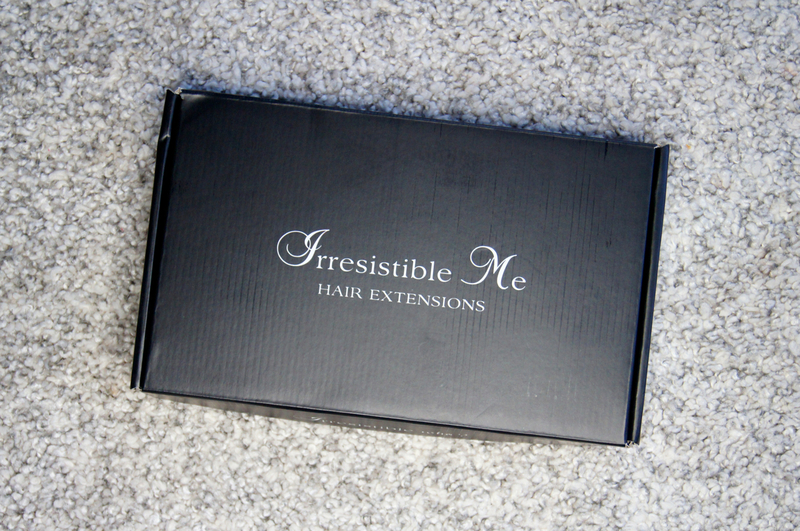 Irresistible Me offer five sets of extensions, from a single weft to full-head sets, which get gradually more voluminous, thicker and more expensive. They also have a range of clip-in ponytails, wigs and hair tools. Available in 12 hair shades, lengths from 14-24 inches and with varying weights (100g, 140g, 200g and 260g), the range of options is so vast. Whether you're looking for a subtle change, or want to completely transform your look and turn into Rapunzel, there's a set to suit everyone! Made from Remy hair (the highest-grade human hair used to make extensions), Irresistible Me promise high quality for great prices. With free, international shipping on orders above $150 and super speedy delivery, they also provide great service! 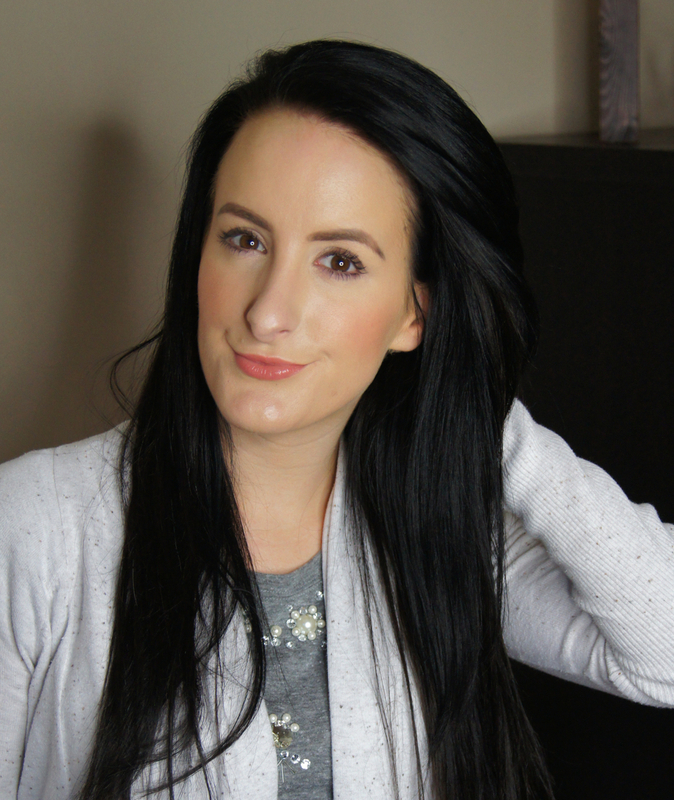 Instead of using extensions for added length, I wanted them to boost the body of my lengths. So, to match my hair, I chose the Silky Touch 18 inch extensions* in Natural Black (a warm-toned black shade) with a weight of 140g and they work a treat. Even though the Silky Touch range is one of the brand's cheapest, with prices starting at $99, the hair quality is really high. 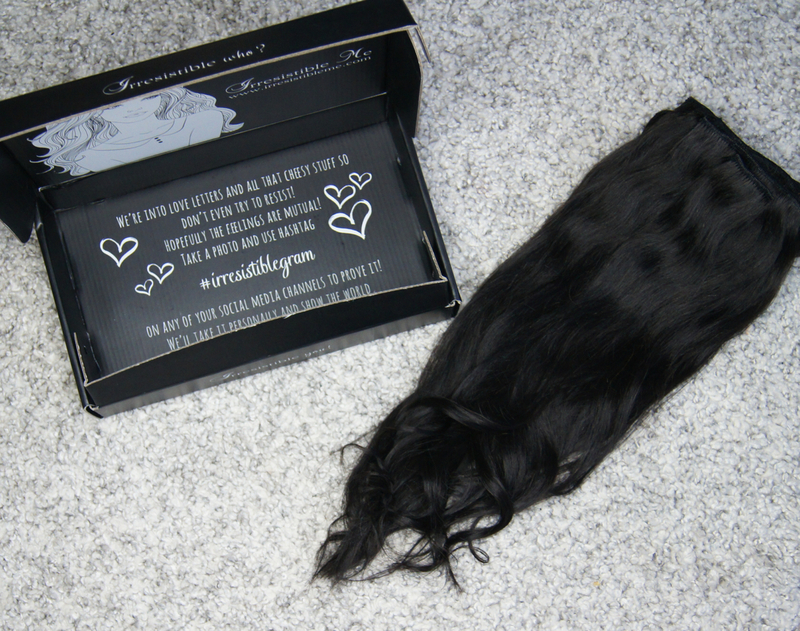 Smooth, soft and tangle-free, the extensions feel amazing and, most importantly, look completely natural when worn. Just like with your own hair, you can wash, style, cut and dye them, too. As the thickness of the hair decreases towards the ends, in the same way that natural hair does, they don't create a blunt, harsh finish and blend so seamlessly. As the Silky Touch 140g set contains 8 clip-in pieces, it's easy to customize your look to your preference and the occasion you're wearing them for, using as few or as many as you like. Taking into account that my head is quite small and my hair is quite fine in texture, I don't usually use the full set of extensions. Personally, I prefer to use a few of the larger pieces at the back and then a few of the smaller sections at the top and either side. I have worn the whole set and it was absolutely fine, but for the type of look I'm going for, using less suits my style. I was worried that the clips would make the extensions uncomfortable, but they're not at all. Although you can definitely feel them in there, they don't weigh the hair down or feel like they're tugging or pulling your natural hair out. Another concern I had, was that the extensions and clips would be noticeable or would start to fall out half-way through the day. Safe to say, I didn't need to stress at all. As the weft of hair covers the clips, they don't show through and once I put them in, they stay firmly in place all day/night. I've worn them whilst out shopping in blustery weather, all day and night at a relative's wedding, for evenings out and even during some spontaneous go-karting, all without any issues whatsoever. I drove my boyfriend crazy by constantly asking him if they were visible at first, but they were never noticeable. After receiving the extensions, I've worn them almost every day. Never did I expect to become obsessed, but once you see how amazing your hair looks with them in, its difficult to go without. As they're so simple to clip-in, it only takes me between 5-10 minutes to put the extensions in, depending on how many I wear. All you do is push the center of the clips to pop them open, slide them down to grip the hair and then gently push them closed. Then I style my hair as usual, with the extensions in. 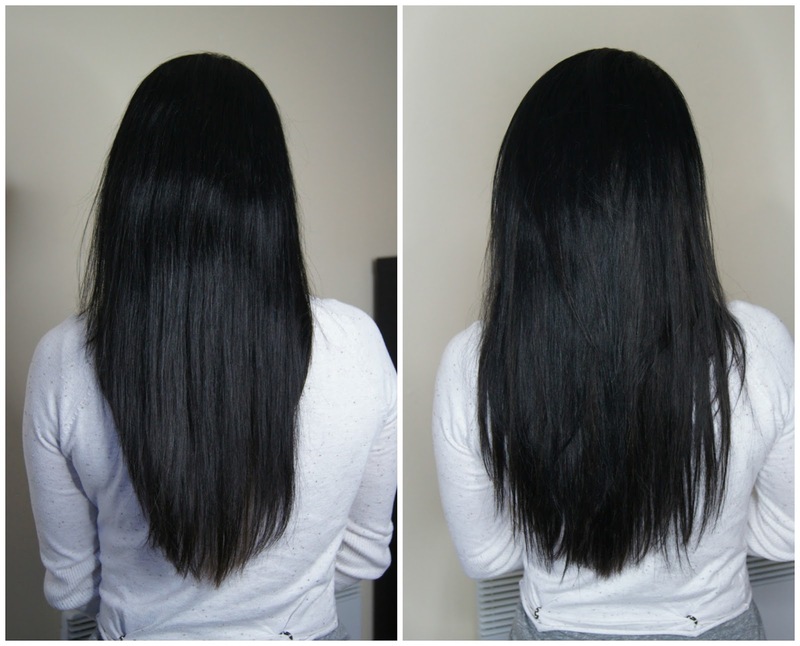 To maintain the high quality of the extensions, I make sure to brush each weft both before application and after I remove them. Honestly, I couldn't be happier with my extensions from Irresistible Me and I'm a total convert! Do you wear hair extensions? Would you try Irresistible Me? Your hair is gorgeous anyway, but these make it look even better :) I've heard a lot about this brand lately so I'll definitely be keeping them in mind next time I'm after some clip-ins! I have been sent these to try and I had my place with them last night. I was so impressed with the colour match.